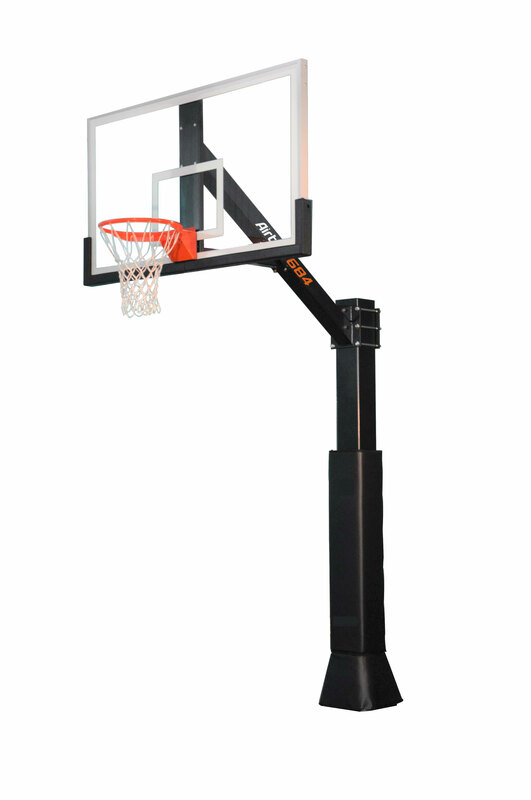 The ultimate basketball system boasting the largest pole on the market perfect for dedicated playing areas. The perfect mix of performance and smaller size making the 660 the ideal driveway hoop. Perfect for families with a one to two car driveway looking for better performance than box-store brands. Featuring a true breakaway rim and clear-view backboard. Bring the basketball arena to your place for a true home court advantage. With easy adjustment from 5.5′ – 10.0′, Airtime Hoops offers in-ground, adjustable basketball goals that can be lowered down to 5.5′ to allow everyone to shoot & play with confidence. Airtime Hoops are equipped with a regulation 1/2″ thick tempered glass basketball backboard on all of the basketball goals from our line up. Suitable for indoor and outdoor use. Top of the line, high end gymnasium quality. Get our Full Colour Brochure! Grab a brochure and choose the right hoop for you!